Khok Charoen (Hill of Prosperity) is a neolithic burial ground in Central Thailand, excavated in the 1960s and 70s by the Thai-British Archaeological Expedition, but because of the substantial Australian contribution these excavations can rightly be called the first Australian venture into Southeast Asian archaeology.The site, dated to the latter half of the second and the beginning of the first millennium BC, consists of three cemeteries with a total of 65 burials, straddling a discontinuity caused by floods, which greatly disturbed these burials and their finds, which include 513 pots, but no bronze. The study of this pottery is the key to the understanding of the cultural and social history of the site, explaining killings and grave robberies within a divided society.The aim of this book is to present, with the help of a great number of illustrations, an overall picture of this site at the junction of Stone and Bronze. 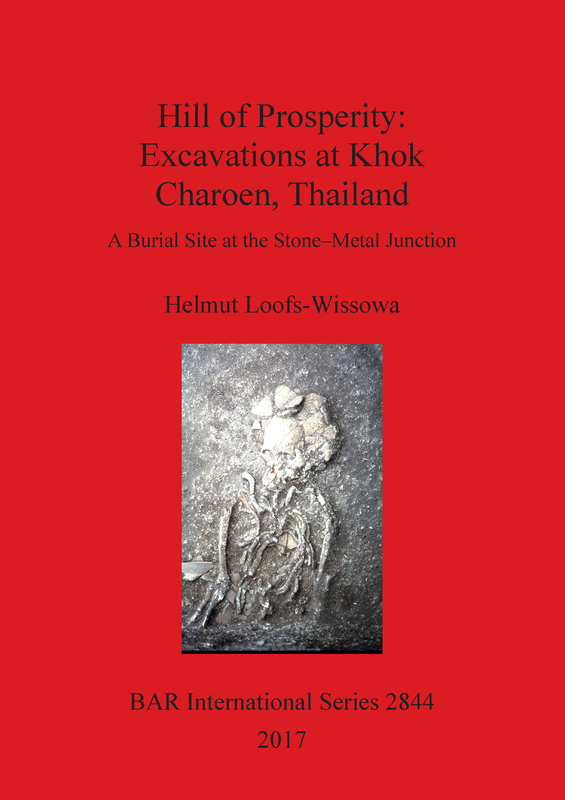 This book is a companion volume to The Pottery of Khok Charoen, Thailand by Helmut Loofs-Wissowa (2019). Born 1927 in Halle, Germany, Dr Helmut Loofs-Wissowa was educated at Thomas School, Leipzig. After WWII and service in the French Army in Indochina as a war correspondent, he studied in Germany, France and Switzerland. He was appointed foundation Lecturer in Southeast Asian Civilisations at the Australian National University in 1961, and retired as Reader in 1992.